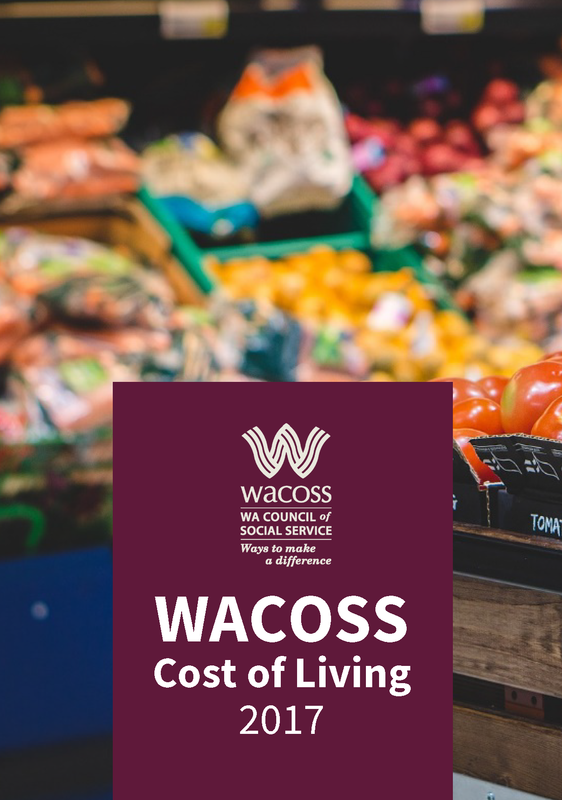 The 2017 WACOSS Cost of Living report was launched on 1 December, and shows that people in financial hardship are spending on average half of their weekly budget on housing costs alone. The tenth annual Cost of Living report included data from the financial counselling network, which was compared with data from the recent Australian Bureau of Statistics Household Expenditure Survey. Benchmarking against the data produced dramatic results, with age pensioners doing it particularly tough; an age pensioner couple who rent will have just $13 left over to meet the basic living costs each week. WACOSS is funded by the Department of Communities, and our Service Agreement is currently under review. The Department is seeking your input via a short online survey on how to refine program and development of services WACOSS and other peak bodies provide. The survey will take up to 10 minutes, and only aggregated results will be sent to WACOSS and other peak bodies. The results are important for our work, support of the sector, and the people that we advocate on behalf of. The final report for the Service Priority review has been released today. WACOSS played an active role in the review, consulting with the community, preparing submissions, and meeting with the panel. It is positive to see some high-level recommendations, such as data sharing legislation, and whole-of-government targets included. WACOSS will comment specific recommendations within the review in coming weeks. Read WACOSS’ submissions here. The Honourable Minister Simone McGurk MLA has presented a Lotterywest grant to WACOSS on behalf of the community services sector, for the development of a sector-run, state-wide Food Relief Framework. The contribution will support the current community relief and resilience sector, leverage existing providers’ work, expand on collaboration between providers, and building capacity within the sector. The project comes off the back of recent research, which shows that many Western Australians are food insecure, particularly those who have been placed in a vulnerable position, and will enable them to source food in an accessible and dignified way. The newly formed Noongar Child Protection Council (NCPC), is pleased to invite individuals and organisations as members, to keep Aboriginal children on Noongar Country strong, healthy and connected to families and culture. Led by the Inaugural Convener, Dawn Wallam, the Council invites everyone to join, to protect the rights of children. The NCPC aim is to have the voices of children, families and communities heard, and to ensure connection back with community. WACOSS workshops to build the natural disaster resilience of community organisations are scheduled around the State in February next year. Bookings are now open for Kalgoorlie (6 Feb), Esperance (12 Feb), Perth (small organisations 14 Feb, others 15 Feb), Northam (19 Feb) and Geraldton (22 Feb). Bookings opening soon for Bunbury (late Feb), Kimberley (late March/early April) and Pilbara (April). Sponsorship and exhibition opportunities are now available for the 2018 WACOSS Conference. Sponsorship provides affordable registration for regional and metro community service organisations and helps develop a diverse and dynamic program. Your sponsorship supports and invests in the development of the community services sector and the sustainability of the local community. A range of sponsorship packages are available. WACOSS has received a Lotterywest grant to deliver free training throughout regional WA. Attached is a link to a short survey, so you can have your say on what the local professional development needs in your region are. If you could respond to it and also share it with any of your local networks and whoever else you think would like to provide feedback, this will help shape delivery of provide relevant training to your region. To all of those mission-driven organisations who struggle to find high quality graphic designers and website developers with in budget – look no further, contact DropIN Solutions - a social enterprise from WACOSS! There is no project too big or too small for the team. Regardless of the size, all social projects and causes could lead to great impact. The Commissioner for Children and Young People (CCYP) in Western Australia has released a new report which reviews Western Australia’s current system of oversight and accountability for children and young people and makes a number of recommendations to strengthen the State’s independent oversight arrangements. WACOSS welcomes the recommendations and agrees that independent oversight is urgently required and the most effective means of preventing abuse and maintaining high standards. We acknowledge there is work that we all need to do to improve cross-sector oversight. Shine Lawyers are investigating legal action on behalf of Indigenous Australians in Western Australia, NT, and NSW, who were negatively impacted by wage control legislation that was in effect during the 19th to 20th centuries. Indigenous Australians who were directly affected, or whose relatives, alive or deceased, might have been subjected to this, are encouraged to get in touch for more information on the process. WA children and young people now have a permanent, safe and fun way to express their views with the launch of DigiMe by the Commissioner for Children and Young People WA. DigiMe is a dedicated online space where children and young people can create their ‘digital image’ and have their views and ideas published anonymously online. All WA children under 18 years of age are encouraged to get involved. This two-day workshop will focus on how to engage with children in a therapeutic relationship, using their preferred language, which is play. There will be plenty of opportunity to explore and practice projective techniques such as drawing, sand tray and clay work, basic principles of child-centred play therapy will be explored. Core issues such as assessment, confidentiality, duty of care and developing a relationship with the child’s caregiver will be discussed. The Australian Association of Social Workers (AASW) will be holding a seminar for social workers involved in trauma-informed care. This seminar will include discussions regarding research into trauma-informed care, the future direction of a trauma-informed care practice group, and networking opportunities. 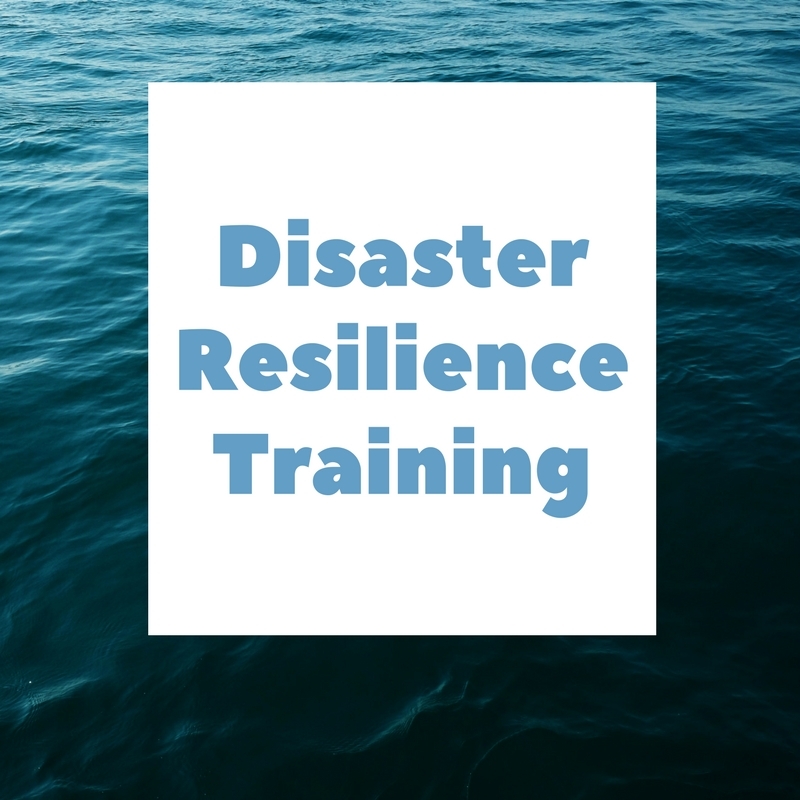 The WACOSS project on natural disaster resilience for community organisations has some new resources on disaster resilience and people with disabilities. These US resources have lots of useful content, relevant to many of our community service sector disaster planning. The Emerging Leaders in Governance Program is a four month program between February and May 2018 that pioneers engagement of young leaders under the age of 40 on boards and committees in the aged care and community sector. Interested participants can come along to an information night on Wednesday 29 November. Copyright © 2017 Western Australian Council of Social Service Inc., All rights reserved. You are receiving this e-mail because you subscribed to our WACOSS eNews or Training and Events update via our website or you have been listed as a contact for your WACOSS membership. Western Australian Council of Social Service Inc.